Let’s do a test. Raise you hand if you were not born in China. 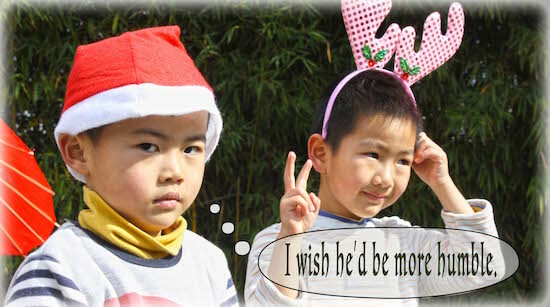 Keep them raised… Not born in Asia. Keep them raised if you are white, Anglo Saxon. Born in the United States. Male. Those of you with your hands raised are commonly viewed as not being qualified to share on humility. Obviously I’m half joking, but the stereotype of American men is not one of great humility. I am an American male. Living in an international community, I have seen first hand people not liking me just because I’m an American. I know prejudices abound all over the map, but the feeling I sense is that other nations think American men are over-confident and not humble. Now I have the hard task to convince you I have something to offer on this topic. 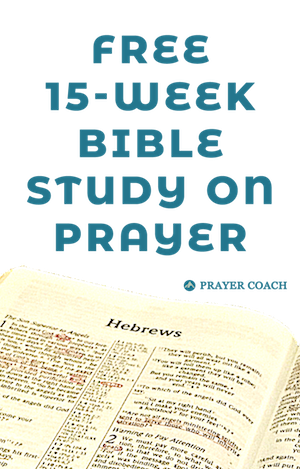 I have written over 500 articles on prayer and how to deepen your relationship with God. I have written 3 books. I have a masters in business. I co-founded a non-profit to help orphan girls and live in Asia to build life into them. For some of you, this “boasting” just convinced you that I am not qualified. But I’m here to tell you I’m one of the most humble men you will ever meet. The only way to show you this is to redefine how most of you understand humility. In this verse Paul introduces this idea of false humility. Common teaching on humility is that it’s ‘I’m just a sinner saved by grace.’ I could do nothing if it wasn’t for Christ in me. We think by putting ourselves down we are lifting up Christ. This is actually false humility. False humility depletes our view of ourself. We would rather see ourselves as worthless than having anything great in us. False humility will kill your dreams because you will view them as selfish ambition. It’s better to stay in the shadows than to be up front. False humility is actually a negative reaction to selfish ambition. Selfish ambition is also wrong, but instead of not going after your dreams; it goes after dreams at the expense of others around you. It’s not the dreams that are wrong, but how we go about achieving them. True humility is important to the Lord. God opposes the proud and exalts the humble. So, what is pride and what is humility? Pride is the life that is lived apart from God. It says I don’t need God. This can be lived by the Christians and non-Christians alike. While Christians may have humbled themselves in relation to salvation, we may have remained prideful when it comes to work, relationships, money, etc. Humility is the fear of the Lord. It recognizes the need of God in every area of your life. It is not that we can do nothing without Him, but we don’t want to do anything apart from Him. We only have to look around the world and see people can do amazing things without God, but humility says I don’t want to step out without God in everything I do. Can Humility Really Look Like This? Moses led the Israelites out of Egypt. He fought with God. He fought with the people. He stood up to people trying to take over his leadership. He fully followed the dream in his heart, yet the Bible says he is the most humble of men. Better yet, Moses wrote this passage that says he was the humble. I thought that was the proof of not being humble? it is thinking of yourself as God thinks of you. If we are to love one another as we love ourselves, and we don’t love ourselves well, how does that really fulfill the law? In order to really obey the command of God, we need to love ourselves immensely and then love others with that same passion. but only thinking of yourself the way God thinks of you. If God says you are great, is it really humble to say your nothing without Him? If He says you’re amazing, is it humble to shy away from compliments? Humility is submission to God. Humility is submission to how God views you. True humility submits to God, responds to His dreams He has placed in you, and loves people in the process. Have you ever thought the Creator of the universe desires to live within you? He sees what He has out within you and wants to magnify it. Break off false humility; break off that negative view of yourself; and break off the desire to hide. He loves you completely and thinks you are amazing. He desires to make you come alive to all the potential He has placed in you. Let’s learn to walk in true humility that it may go well with us. Thank you for this post on humility. I never thought of it that way before, submitting to God’s view of you and the dreams He has placed in you and loving people in the process. However, isn’t there more to humility? It seems too easy. I had learned that it was actually where you are less focused on yourself and more focused on others, and not thinking of yourself as better than other people. Is that also true, and all of this ties in together? The things you mentioned are commonly considered in the list most Christians think of with regards to humility. Your last question is correct; they all tie together. The only problem is an over extension of not thinking of yourself as better than other people is to think of yourself as less. This is also not correct. We are to love one another as we love ourself. If we do this, then when we love ourself more, we will also love others more. The other point of thinking of ourself less is tough. This statement assumes that if we think of ourself too much we will become selfish. But if we think of ourself rightly, we will know that our strength comes from serving others. We become more fully ourself when we are serving others in the manner we were created. If you are a teacher, teaching others well serves others and makes you more you. As I am a father and husband, I become more me by serving and loving my wife and kids well. If I didn’t fully believe my role as father and husband, I cannot fully live out my service on those under my care. If I am looking to them more, I will respond to their needs hoping to be of help instead of coming from a place of knowing who I am and what God has specially gifted me to offer. I understand people can go too far with this and say that something is not their gifting a refuse to help in an area. That is also a falsehood, but knowing yourself helps you know when you are serving in an area of weakness and need more of God’s grace when called to do so. Hope this helps. Thank you for the question. I love how you think through the articles that I write. It is a huge encouragement.